Following the recent Appeal Court ruling, Ultraframe has seen significant increases in sales of their Ultralite® 500 system. The company has already geared up to fulfil the increased demand and additional Ultralite 500 brochures are available for all customers. The expected injunction has now been issued, making it illegal for Eurocell to sell their infringing Pinnacle 500 roofing system. Ultralite 500 is the original ‘roof in box’. The BBA accredited roof offers a value for money and lightweight roofing system. Ultralite 500 is designed with a host of innovative features, including a 2 ½ degrees pitch, the lowest attainable in a practical on-site application, built in ventilation as standard, and a U value of 1.9, making it the ideal roof for domestic and commercial use. Quick and easy to install, the roof is a free spanning system with integral aluminium strengthening bars that can span up to 4m before additional purlin supports are required. 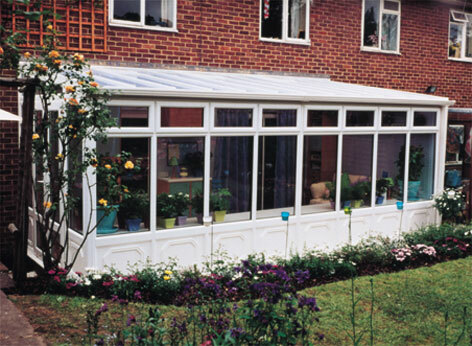 Ultralite 500 is ideal for timber, aluminium or uPVC frames. Further installation options available include a fascia fixing kit and a box gutter solution making Ultralite 500 the most flexible solution for all your installation needs. The roof is also suitable for use with Conservaflash. Unique to Ultraframe, Conservaflash, is a fast and simple flashing system saves up to an hour on each installation.